The following article was prepared for the company's 60th birthday celebrations and appeared in 2010 in The Media magazine. "Few would deny that a newspaper which does not serve its community could not last a year and it speaks well for the rural population that so many have not only lasted, but have grown into newspapers of such a standard that they can compare favourably with any in the world. The loss by a country town of its local newspaper would be regarded as a severe blow to that town's advancement and country newspaper proprietors are conscious of this responsibility. N.G.K. Holliday General Secretary of the Newspaper Press Union of SA, Adelaide Free Press, July 21 1950. The more things change, the more they stay the same. Whether it was the French novelist Alphonse Karr (1808-90) or George Bernard Shaw who said it first probably doesn't matter - it's just true. You realise this wisdom when you delve into the history, as in this case the history of Capro Ltd, a company that celebrates its 60th birthday this year. The more you read through the old newspaper clippings and the brittle attendance registers and minutes of meetings, the more you realise that history continues to repeat itself. Like a modern day box office hit, it becomes an intriguing tale of idealism, hope, disillusion, determination and in between the bits and pieces you find stories of back stabbing, sorrow and success against all the odds. The idea to establish a company that represents the "country papers" was not born 60 years ago. It is very likely that this was one of the factors that motivated a dozen or so newspaper proprietors to meet in Grahamstown on 27 November 1882. The purpose of this meeting was to form an association that will represent their needs. The intervention of the Anglo Boer War saw a temporary dissolution of the Association, but it was resuscitated again in 1912. Legendary names such as OH Frewin, CV Bate, Jack Walton and DM Smail all had something to do with this revival. 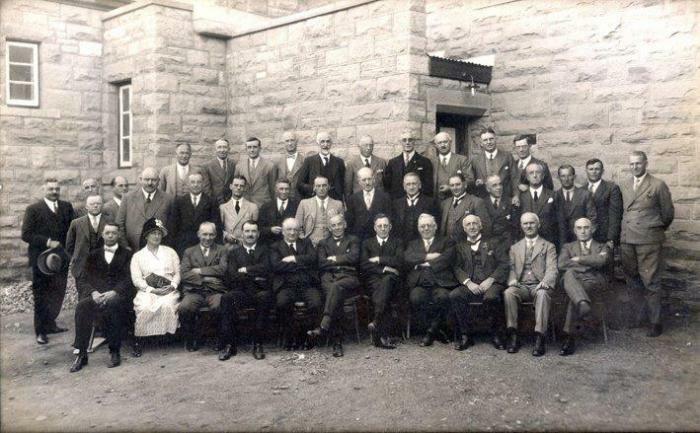 At the 1912 meeting in Bloemfontein no less than 22 country newspapers were represented. In an article written by the then General Secretary of the Newspaper Press Union, N.G.K. Holliday in 1950, he writes "Since the earliest days country newspapers have been talking about consolidating their representation for the purpose of canvassing for national advertising." After speaking about it for more than twenty years, a canvasser was appointed who operated from Cape Town. "The experiment failed because the canvasser could not accept business on their behalf, but could merely tell advertisers to make more use of the country press. What was wanted was an organisation which could accept orders for country newspapers and at the same time engage in general public relations work." The article appeared in the Adelaide Free Press and celebrated the Third Regional Conference of the Country Newspapers in the Cape. 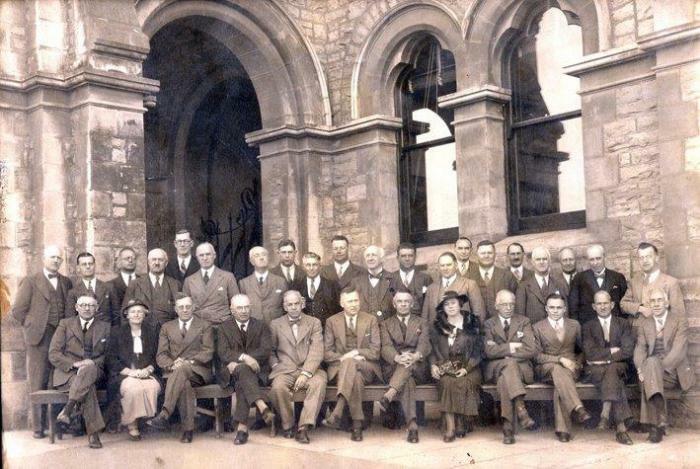 This was also the first conference after a new company, Capro Limited, was established. The Country Central Advertising and Public Relations Office, shortened to Capro, was registered in June 1950. For the first time in history the "small" and mostly rural newspapers had a body which could promote them at advertising agencies, government institutions and big national companies. It was, however, not an easy task and the company had to deal with all sorts of problems such as inaccessible markets and very demanding shareholders. "Few country proprietors realise the competition that faces us. National periodicals have highly paid representatives in every major town, they have representatives abroad, they go in for advertising and generally spend a lot of money getting business. Capro employed a part-time canvasser, did no advertising and is unable to maintain contact with national advertisers," said the first chairman of the company, the legendary "grand old man of the printing industry", Mr O.H. 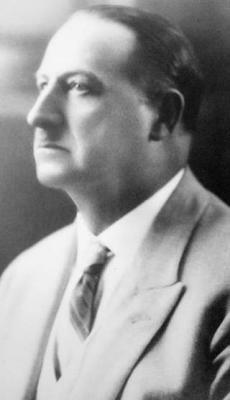 Frewin during the first meeting of shareholders on 7 December 1951 in Johannesburg. "This national advertising game is not easy. I call it a game because it is played like one. Excuses for not advertising in the Country press have been hurled at us for years. As each one is eliminated others appear - now we are told that we must improve our papers - I do not believe that if all our newspapers were perfect we would get more business, unless we sold ourselves." In the years following the company worked hard at selling itself and also the titles that it represented. 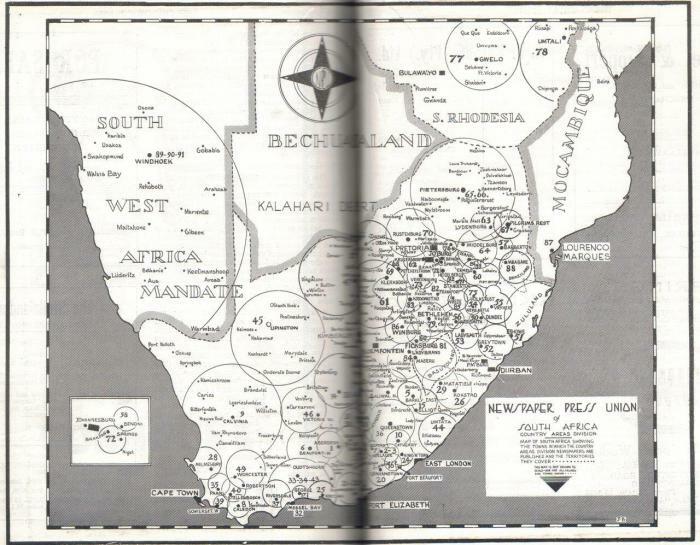 The titles included names such as the Grocotts Daily Mail, Middelburg Observer & Witbank News, Ladysmith Gazette, Harrismith Chronicle and the Lydenburg News. At the second meeting of the Council of Management subscriptions for 36 titles had already been approved. Apart from OH Frewin, a number of other publishing pioneers joined the Capro Board of Directors. These included William Hills who established papers such as the Benoni City Times and West Rand Times and WK Dannheiser from the Springs Advertiser. These men shared a passion for print and publishing that was inculcated in the people who were involved with them - from the cleaner to the top management. The Capro office in Fleetway House in Bree Street, Johannesburg quickly kicked into operation and the first retail client to channel its advertising through the company, was Checkers. Some of the other earlier clients were Plascon, United Building Society, Pick 'n Pay, BMW, OMO and Surf. The first advertising agencies to make use of Capro were Grant Advertising, Central Advertising, Cloran Heeger (which then became BDSTV), JW Kirby and JW Thompson. From the start Capro represented newspapers from neighbouring countries. The earliest ones were the Suidwes Drukkery Beperk who joined in 1954, followed by papers from the then Rhodesia and Mozambique. In years to come Capro started making a name for itself with the variety of titles in its "basket". With the odd exception here and there most of the titles were owned by independent publishers who shared a passion for their industry. 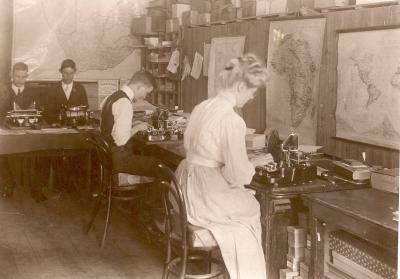 In the mid 1960's Capro moved offices to Kerk Street, Johannesburg, along with the Newspaper Press Union. It was at roughly this stage when Dirk du Plessis started working as a sales representative at Capro. In 1971 he was appointed as General Manager of Capro and over the next decade played a huge role in transforming the industry. "Up to that stage Capro functioned almost as a post office," remembers Martin Dannheiser, a former director of the company and son of WK Dannheiser. Dirk brought with him a new vision of how to market these titles and secure the advertising spent. This was also referred to as the golden era of publishing, especially for the country press. Government pursued a policy of decentralization and encouraged businesses to move into more rural areas. At that stage Capro had a strong footprint on the rural areas and focussed on the agricultural sector. "Dirk du Plessis helped to build the country papers up from small publications to big business," recalls Martin. Sending advertising material to newspapers, especially in the early years, was a daunting task. The staff had to work until late at night to package the heavy "stereos" (solid blocks of lead) and get it ready to be transported to the newspapers. The Stereos, wrapped in thick cardboard, were taken to the station early in the morning and delivered by rail to the publications in the country areas. After the Stereos came the "blue mats" which were much lighter to handle. The Negatives and Positives followed a couple of years later. During Dirk du Plessis' period at Capro, he put a lot of effort into bringing the newspapers "closer" to the markets. Offices were established in Cape Town in 1974 and in Durban in 1978. The long-awaited introduction of television in 1975 was undoubtedly the mainspring of a lot of change and newspapers realised that they had to compete in a much more aggressive way. When Dirk resigned in 1980, another energetic young sales representative stepped to the fore. He was Danie van Niekerk who put his efforts into enhancing the sales teams to market effectively when visiting the agencies. He organised various Publication Day Workshops at Capro's new offices at Persam House in Loveday Street, Johannesburg. Danie introduced regular newsletters and also initiated newspaper competitions. The best known of these was the Capro-Nissan competition, which recognised the editorial, lay-out and printing excellence in different categories. This sponsorship continued for 20 years and encouraged publishers to focus on motoring issues with special prizes being awarded for the best motoring supplements. The upsurge in business had another, some may say unfortunate, effect. The publishing industry grew stronger and this inevitably led to the formation of bigger groups. The bigger groups started buying up the small titles and became pressure groups within the company. At the same time the opposition papers became forces to be reckoned with and new groups, such as Caxton Ltd, stepped to the fore. Both Nasionale Pers and Perskor bought out Capro-represented titles, but opted to leave them in the Capro stable. Nasionale Pers had a number of publications in the Western Cape and Free State, whilst Perskor was strong in the then Transvaal and Eastern Transvaal. When Danie left Capro in 1993 to manage his own newspapers in the Hermanus district, Hazel Swanepoel was appointed as new Executive Manager. The "iron lady" as she was affectionately known, was respected by both the publishers and the advertising industry. She ensured that the administration of the company ran smoothly and Capro gained a reputation as being an extremely reliable and effective ad procurement company. 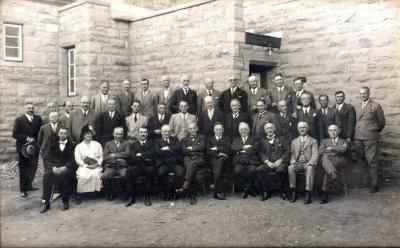 This photo was taken during the 1932 meeting of the members of the Newspaper Press Union which also took place in Grahamstown. 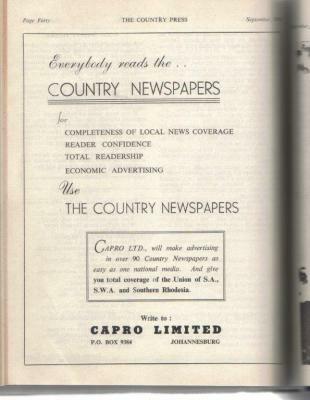 The establishment of a central advertising office was again on the agenda, but this idea only materialised 18 years later, in 1950 when Capro was established. The Capro team bid farewell to central Johannesburg in 1997, when the company moved into offices in Wellington road, Parktown. In 1998 Caxton bought out the struggling Perskor and acquired a large number of Capro-represented papers. Caxton then opted to not have these titles represented by their own selling house, NAB, but rather to leave them with Capro. The publishing house further offered to move some of its strong titles away from NAB and into Capro. This, of course, meant that Caxton became one of Capro's major shareholders, alongside its rival, Nasionale Pers. Caxton insisted that some of their core staff members be incorporated into Capro to ensure that the titles get the attention they deserve. Not surprisingly, Nasionale Pers announced the departure of their titles from Capro some six months later. The addition of Caxton's strong titles boosted the company's turnover and also allowed the modernising of the systems. Robin Dukoff-Gordon was appointed as sales and marketing manager and brought with him a wealth of experience that was shared with the sales team. Under his guidance the team focussed on selling the Capro titles and in spite of difficult market conditions, excelled. The marriage started to break up at the end of 2003 when Caxton proposed a restructuring of the company. A group of independent publishers objected to this and felt that representation under the NAB banner would not be ideal for their own publications. Caxton, on the other hand, needed to act in the best interest of its own titles and cut down on unnecessary expenses. The discussions continued for more than a year, but in 2005 Caxton announced the withdrawal of its titles from Capro. For the first time in a couple of decades the company had to focus on small independent publishers, scattered across the country. The "good years" left Capro with a fair amount of reserves, which allowed the company to survive the restructuring. This move also allowed Capro to focus on and help grow some of their previously "neglected" titles, such as the Namibian and newcomers such as the Polokwane Observer. In 2006 Harry Lee-Rudolph was appointed as general-manager and he had to focus on stream-lining the company and cut down on expenses. Under his guidance Capro moved out of the Wellington Street offices and into an office block in Girton Road, Parktown. A year later the company moved offices again, this time to St David's Place in Parktown where its neighbour is Print Media SA. In an almost ironic twist the company ended up alongside an industry body similar to the one that was responsible for its birth. In 2009 one of the Capro directors, André Coertzen was appointed as an acting general-manager. Although only part-time involved in the day-to-day running of the company, André managed to turn the company into the green again and put an end to a few years of continuous losses. The company took on a number of new titles and halfway through 2010 Capro represented 77 publishers with 109 publications, whilst handling placements in numerous other titles, which include most of the dailies. The "face" of the company also changed drastically as it started representing a new breed of young and energetic publishers, many of them also from previously neglected areas such as townships and rural areas. As far as the future is concerned the current chairperson of the Capro Board, Rishaad Mahomed, is very optimistic. "In years to come Capro needs to stay a relevant player in the industry. This will depend largely on the dynamics of the various members and how well they cope with changes. In this instance Capro is extremely lucky, in that it represents publishers who are also independent thinkers. The majority of members are active in their communities and passionate about what they are doing. These publishers form an integral and extremely important part of the communication channels within these communities," he says. A company such as Capro can only be as good as the products it represents. In this instance Capro has little to be ashamed of. Throughout the years Capro publications have done extremely well in the industry. In 2009 the top awards in the Sanlam Hultzer as well as Best Town Newspaper categories went to Capro represented newspapers. "The same style of independent thinking and the quest for excellence reflects in Capro Ltd. For 60 years the company had to continuously adapt and re-invent itself to stay relevant in the industry. The company succeeded in doing this because it is in touch with the market. The future holds many challenges for Capro, but we believe we have the people and the products to prosper from these challenges," says Rishaad.